The Divinity of Christ Was Jesus God? The divinity of Christ - the doctrine that Jesus of Nazareth was in some sense God - dates from early Christianity and is believed by all major Christian denominations today. The idea that Jesus Christ is divine appears in the New Testament, written c. 50-120 CE. Jesus as "Son of God"
Jesus is not recorded in the Gospels as referring to himself as the "Son of God," but the term is used in the writings of Paul (e.g. Ro 1:4, 8:31), which are the earliest surviving Christian writings, and in the epistle to the Hebrews (4:14). The Gospel of John refers to Jesus simply as "the Son," which may have a similar meaning. Paul uses the term for both Christ and Christians, but distinguishes between the two: Christians become sons of God by adoption, but Jesus is the rightful Son of God by nature. In addition, some important titles and functions applied to Christ in the New Testament indicate early belief in his divinity. The statement "Jesus Christ is Lord (Greek kyrios, Hebrew adonai)" is found throughout the New Testament and was one of the earliest Christian confessions of faith. Due to the substitution of the word "Lord" in place of YHWH (the holy name of God that may not be pronounced) in Torah readings, "Lord" had come to be almost synonymous with God in Jewish thinking by the time of Jesus. In the 50s or 60s C.E.--30 years at most after the death of Jesus--Paul wrote to his converts in the city of Philippi. In his letter he quoted a hymn (Philippians 2.6-10).... Every knee shall bow at the name of Jesus: Within 30 years of his death, Jesus was being given the worship that could be given to God alone. Of all the startling things in early Christianity, this is the most remarkable of all. 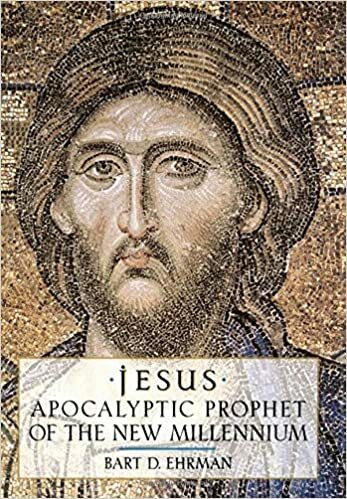 It was indeed under Constantine, in the fourth century, that the churches’ leaders defined in the terms of Greek philosophy what status this Jesus had in relation to God himself. But the instinct was there from the earliest decades: Jesus must be worshipped as God alone is worshipped.